Ideal truck cap removal and storage solution. 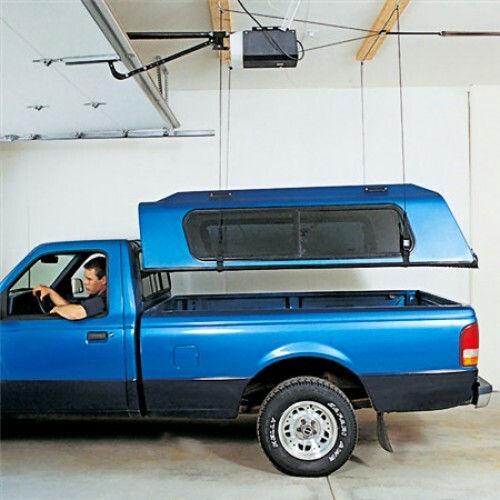 Our ceiling mounted truck cap hoists work for virtually all models of truck caps and almost any other large object (within the weight range). 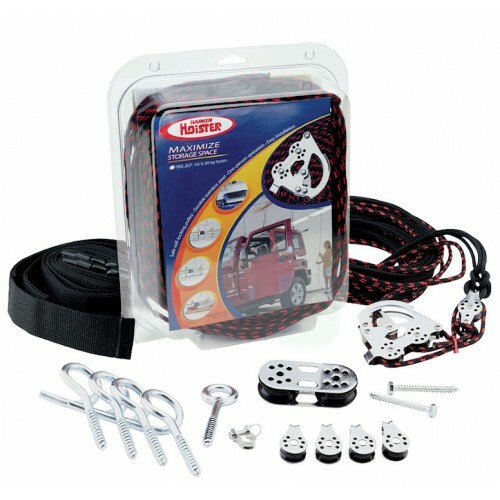 Works great for pickup truck bed covers. 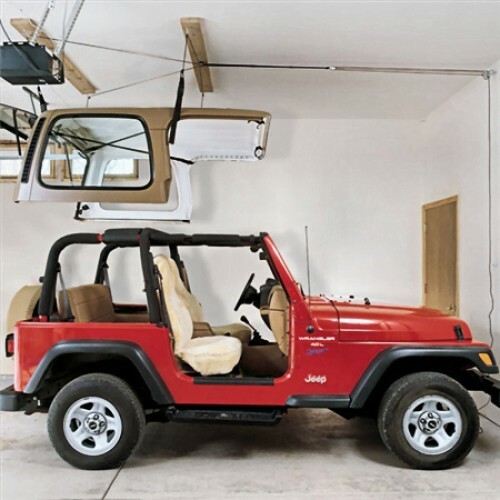 Perfect for truck canopy removal and storage in your garage, shop or anywhere else you can park your vehicle.